Beer lovers take note! April 7 is celebrated as national beer day. It’s a day to pour yourself a cold glass and celebrate with friends. Did you know that the origin of beer day dates back to the prohibition era? So many national days revolve around food and drink. Don’t know what they are? Be sure to check out my National Days Guide to read more about these special days. Many people think of Beer day as a way for breweries and bars to get people in the mood with fun activities to mark the day. However, the origin of National Beer Day actually goes back as far as 1919 when Congress passed the 18th Amendment, which prohibited the sale, transportation and production of alcohol in the USA. This marked the beginning of the Prohibition era which caused many Americans to find other ways to enjoy their now forbidden beverages. 14 years later, President Franklin D. Roosevelt signed the Cullen-Harrison Act, which made the sale and consumption of beer and wine and other low alcohol beverages legal again. The act passed on March 22, 1922 but went into effect on April 7 of that year. All these years later, beer drinkers around the country still celebrate this day with a pint of lager, pale ale or their favorite type of beer. Also many restaurants around the country will be offering deals on beer. Be sure to check your favorite restaurant to see what they have planned. Beer is made by combining four basic ingredients: Barley, hops, water and yeast. But the similarity ends there when you consider the various tastes that a glass of beer has depending on the brand. 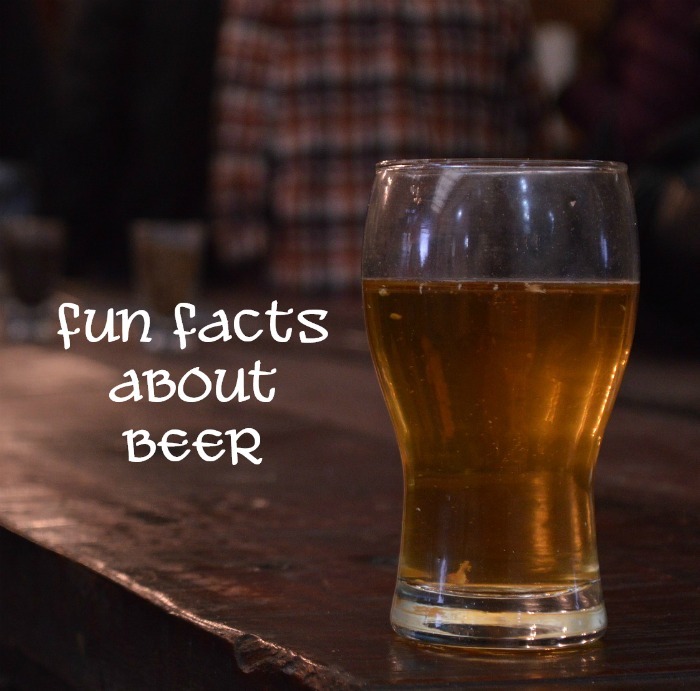 Here are some beer facts you may not know. Beer is the most widely consumed alcoholic beverage around the world, only surpassed by water and tea. New Hampshire consumes more beer than any other state. The fear of an empty beer glass is called Cenosillicaphobia. Snake Venom is the World’s Strongest Beer. It is made by the Scottish brewery Brewmeister and boasts 67.5% alcohol by volume. Most beer has under 10%! Slugs are attracted to beer. Place glasses of it around hosta plants to keep them in the glass and away from your plants. Beer wasn’t considered an alcoholic beverage in Russia until 2013. Africa brews a beer made from bananas! Beer was produced as far back as 7000 years ago in what is known today as Iran. Oktoberfest is a month long holiday that features beer. Get together with some friends and celebrate with a beer or two. But remember to always drink responsibly and never drink and drive. Grab a beer kit and make your own beer. Save the bottle caps from beer bottles and use them in crafts. Use beer to make a tasty recipe. From dip to main course, beer is the secret ingredient for making these dishes extra tasty. Recipes with beer are always so much fun to cook and eat. These easy beer battered shrimp make a great party appetizer. Try this beer braised pork. It’s a fork tender slow cooker recipe. Red Killian lager and age gives flavor to these beer brined pork chops. This hot beer cheese dip is perfect for parties! Serve it in your slow cooker to keep it bubbling hot. Looking for something to warm you up on a cold spring night? This Instant Pot Beef and Beer Stew is will do the trick! It’s impossible not to love these Beer Batter Fried Brussels Sprouts, served with a blue cheese yogurt dip. There are almost 2000 National Days. Don’t miss any of them. Be sure to check back often to see which National Day we are celebrating. And be sure to check out the list of National Days in April to find other food and drink related special days. Want some help planning this month’s recipes, and activities? Print out the April National Day Calendar here. It gives 30 fun days to celebrate this month.